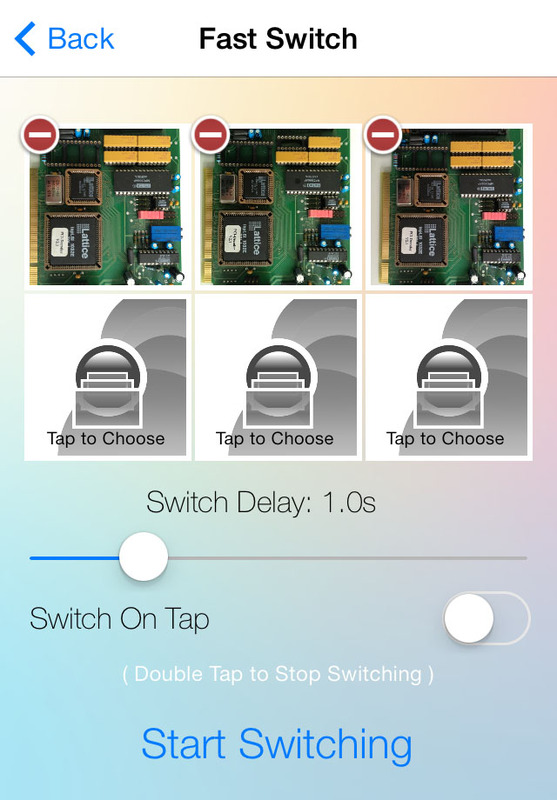 Retake Toolbox 3in1 - pay one time and get 3 great tools! Pay one time and get 3 great tools! 1.) 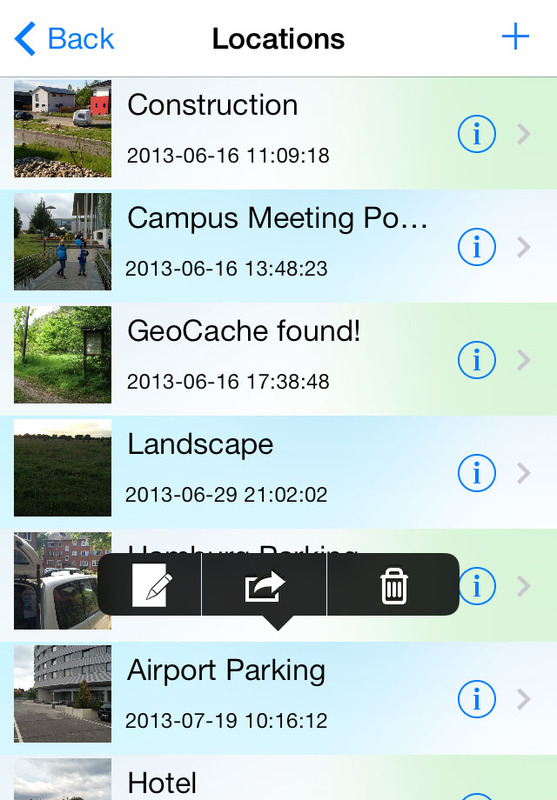 Store and share locations along with a pictures and other information and relocate stored locations. 2.) Document progress of any kind with pictures using overlays. 1.) Visually compare pictures ( find differences by switching between images ). 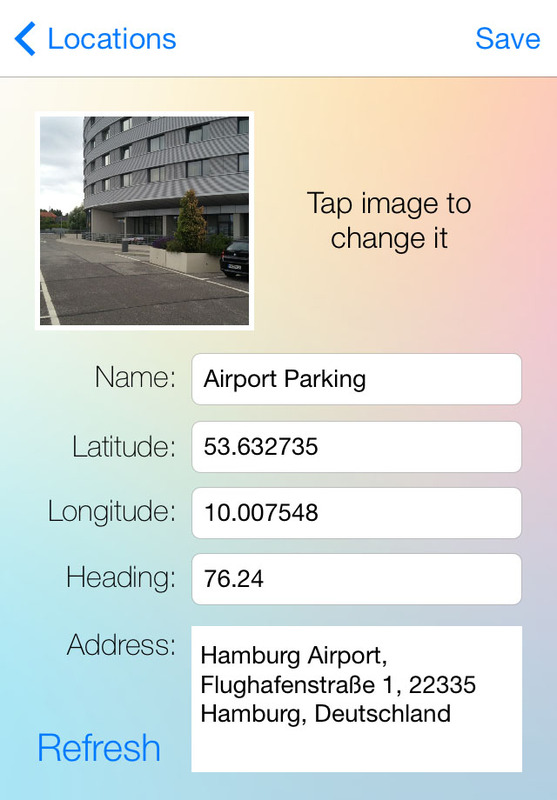 Store your current location and heading information and attach a picture for later reference or let this tool guide you to a previously stored location – the additional heading information makes it possible to the find the exact position where you took the picture. Do you ever wanted to document a progress? An Overlay ( onion skin ) on your current camera view is a great helper! It makes it easy to take an other picture from the same position. No matter which kind of progress you want to document, with a half transparent overlay of the last shot picture ( or any other helpful shapings ) on your camera view it is easy to to find the position from which you shot your last picture. PhotoOverlay offers a great set of useful overlay presets like a grid, cross hairs, diamond lines etc. 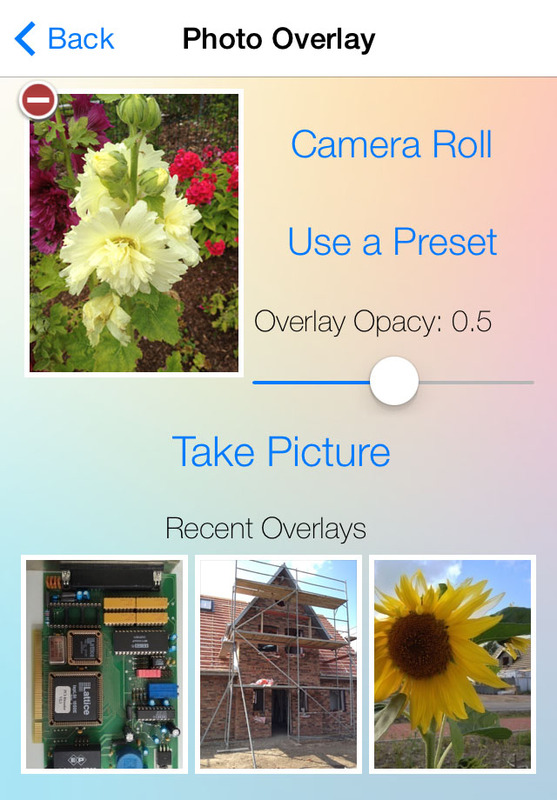 Shot photos are stored in the CameraRoll in full resolution. Fast Photo Swap Do you ever wanted to compare two or more pictures? 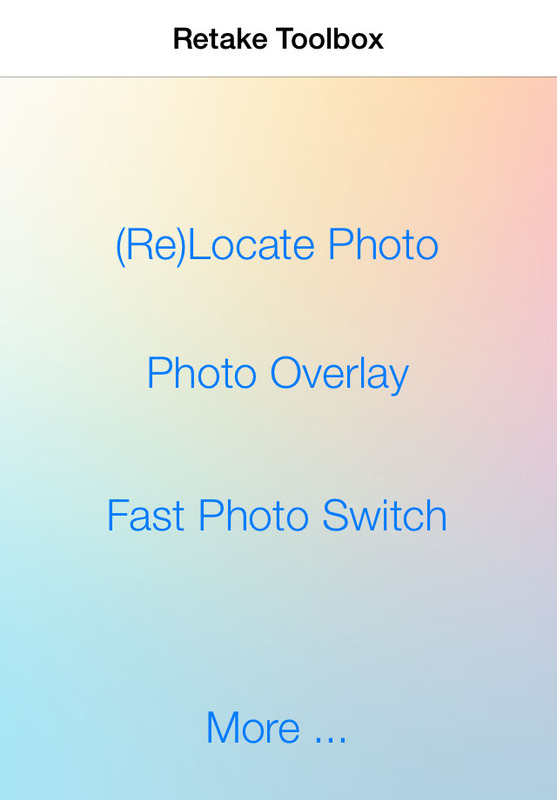 Fast Photo Swap let you choose up to 6 picutures and swap them for you without any #focus losing' effect. Just a plain swap from 'this' to 'that'. Pictures can be swaped after a defined duration ot by a tap. Do you ever wanted to compare two or more pictures? Fast Photo Swap let you choose up to 6 picutures and swap them for you without any 'focus losing' effect. Just a plain swap from 'this' to 'that'. Pictures can be swaped after a defined duration ot by a tap.